The Constella & Constus Skins. Gorgeous, luminous skins with a twist of fantasy. nebulas, gorgeous stars, and celestial bodies, in bright, vibrant colors with full-body detail. All decorative elements are custom made,aligning along the highlights and the curves of your body. All skins come with a male counterpart, as well. 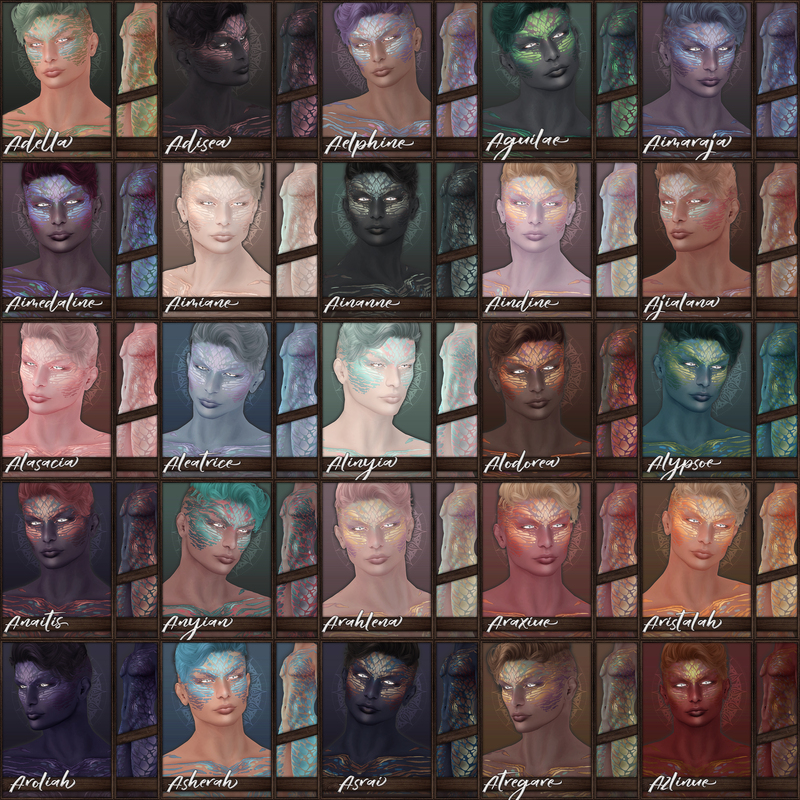 These skins come in an array of 20 separate tones, and are in all inclusive packages. Male and Female are both realities, so there is a chance at fantasy, no matter who you are. 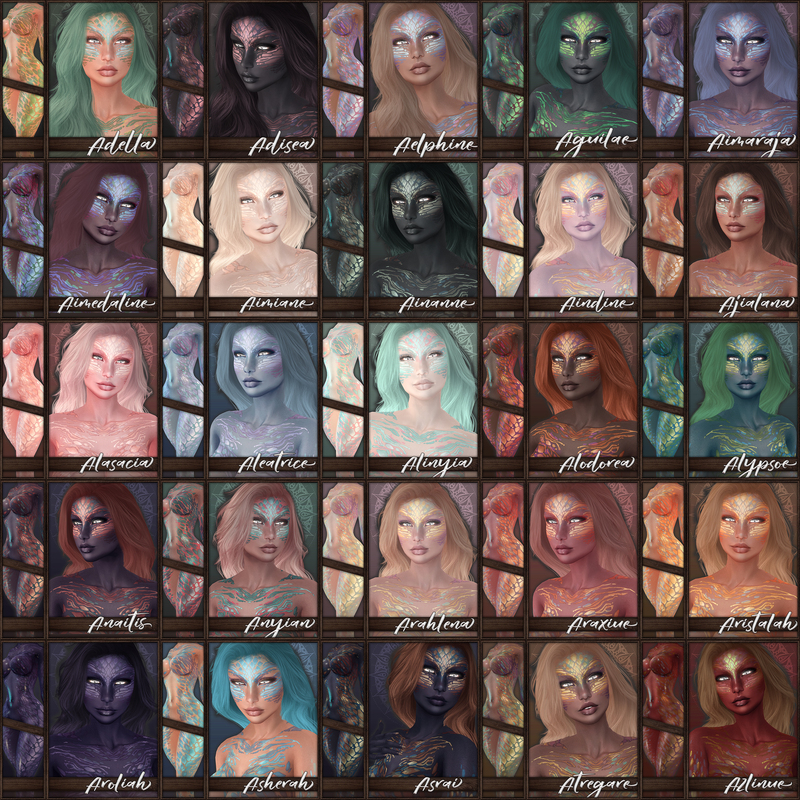 There are twenty dulcet, creamy tones to choose from, all in different hues and levels of brightness and all come with tons of appliers, face and chest options, Eyebrow shaping layers, tattoos, and an assortment of amazing eyes. The Wylde & Wyldoren Skins. These feral skins are gorgeous and years in the making. Everyone always asked me for spotty skins, so i delivered. I think these are my favorite skins so far, and are incredibly detailed and sharp. ~ by Vae on April 22, 2016.